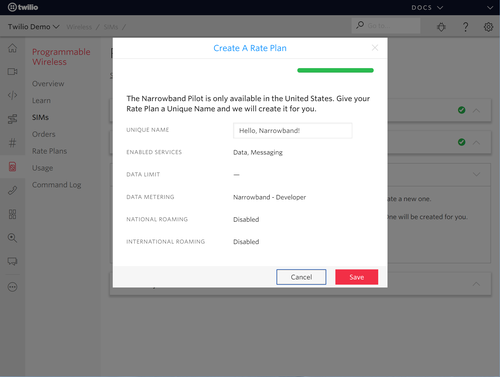 Before you can connect with Twilio Programmable Wireless, you'll need a Twilio account. First, visit the Programmable Wireless Console and visit the Register a SIM page in the Programmable Wireless Console. 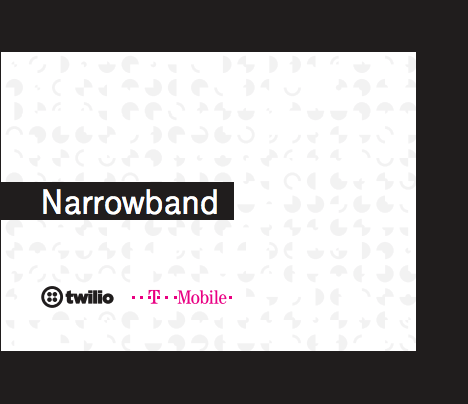 Remove the Twilio Narrowband SIM from the Developer Kit. 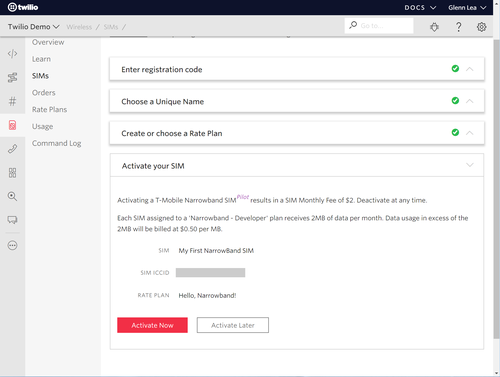 Next, register and activate your Narrowband SIM in the Twilio Console. 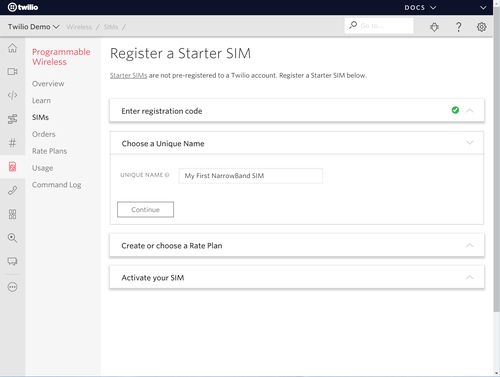 The process for the Narrowband SIM follows the same procedure as the Twilio Programmable Wireless SIM. 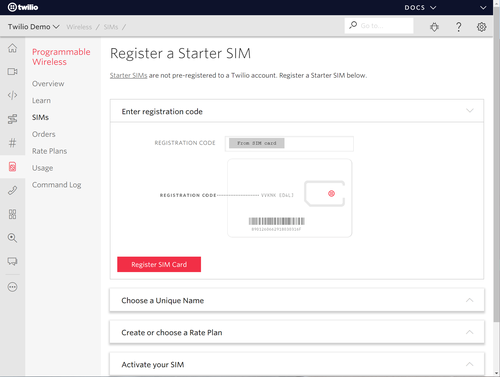 Break out the Nano SIM (smallest size) from the Twilio SIM card. 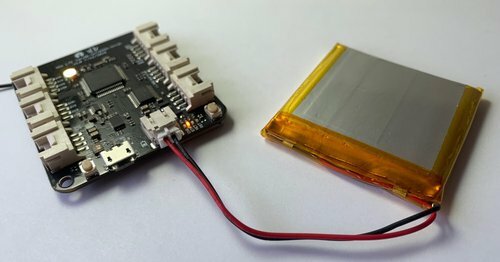 Remove the development board from the Developer Kit. Insert the Twilio Narrowband SIM into the SIM slot underneath the board. Next, attach the LTE antenna to the board. Attach the battery lithium battery. The lithium battery is recommended to be plugged in at all times. 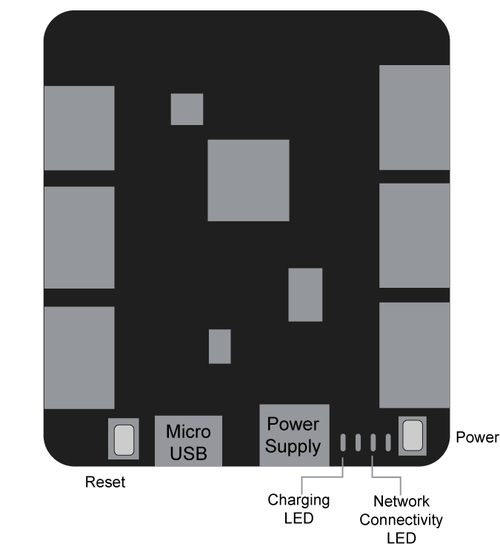 Connect the development board to the computer using the Micro-USB cable provided. Time to configure the firmware and learn about the software environment. Install Homebrew for the Macintosh. Once the installation is complete install the dfu-util package. Version 0.9 or greater is preferred if available. Instructions for installing dfu-util for Windows and Linux can be found here. Download the Breakout_Arduino_Library.zip from GitHub. 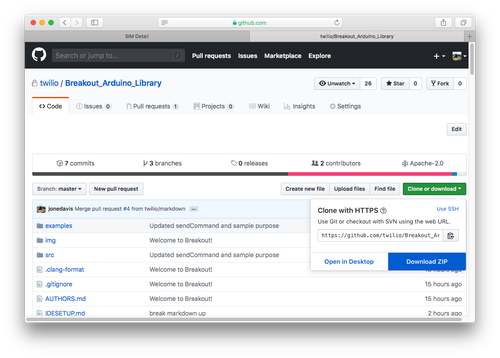 Open the Arduino IDE and add the .zip to the Arduino IDE Library using Add .ZIP Library. Go to Sketch > Include Library > Add .ZIP library and select the Breakout_Arduino_Library.zip. Open the Boards Manager to install the STM32F4 board cores. In the Boards Manager search for “Seeed”. 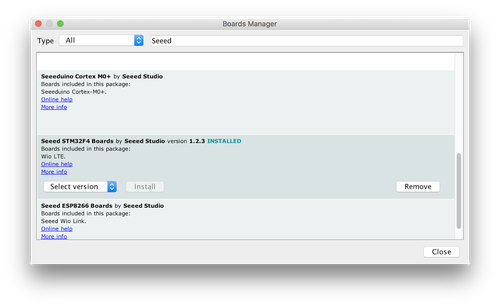 Find and select the “Seeed STM32F4 Boards” version “1.2.3+” and click install. Select the board and the board port. Open the Hello World example provided by the Breakout SDK in the Arduino IDE. In the HelloWorld.ino find the psk_key in the “HelloWorld.ino” file. 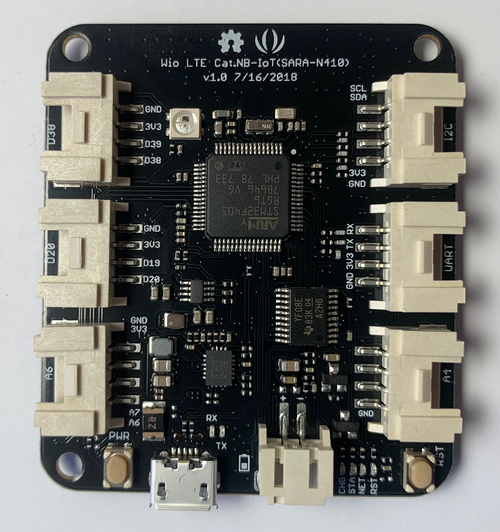 Each development board has a unique SIM ICCID and Pre-Shared Key (psk). 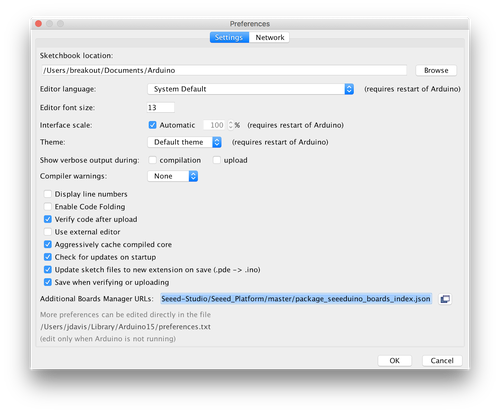 Copy the psk for the board into the HelloWorld.ino sketch. 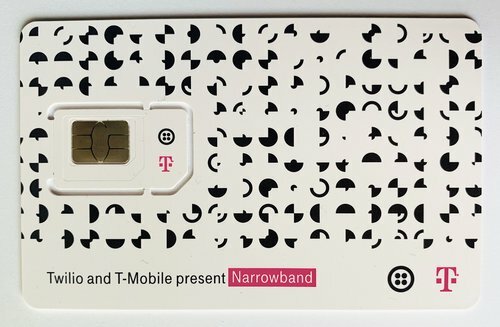 This key is required to connect to the T-Mobile Narrowband network. Change the ‘setPollingInterval’ interval from 10 minutes to 1 minute. Below is the complete Arduino sketch and it can be found on GitHub. To upload code to the development board the unit needs to be put into Bootloader mode. 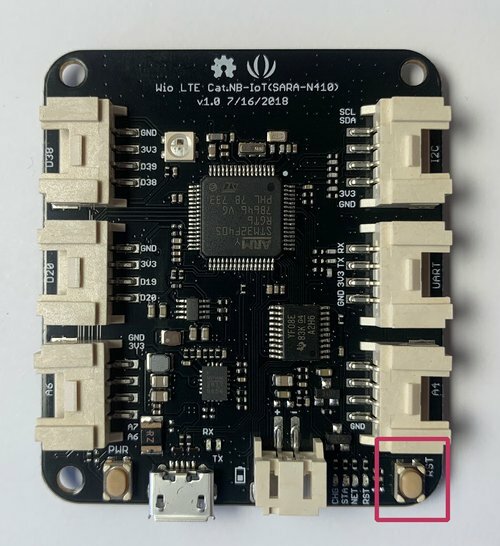 Press and hold the BOOT0 button underneath the Developer Board. Press and hold the RST on the top of the Developer Board. Release the RST on the top of the Developer Board. 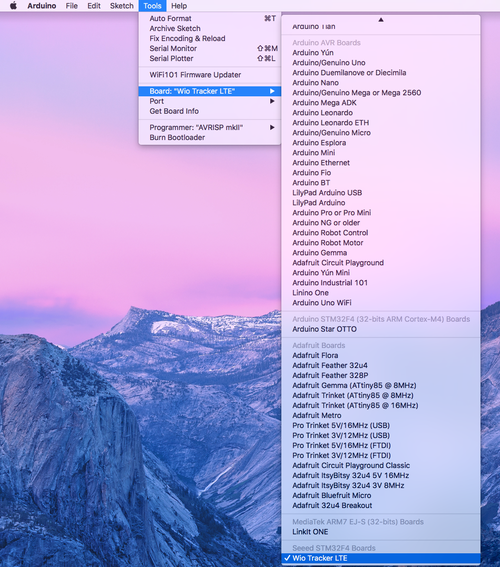 Release the BOOT0 button to enable Bootloader mode. Press Upload in the Arduino IDE. This will take the board out of Bootloader mode and start the program by pressing the RST button. This will start the NB-IoT network registration process. 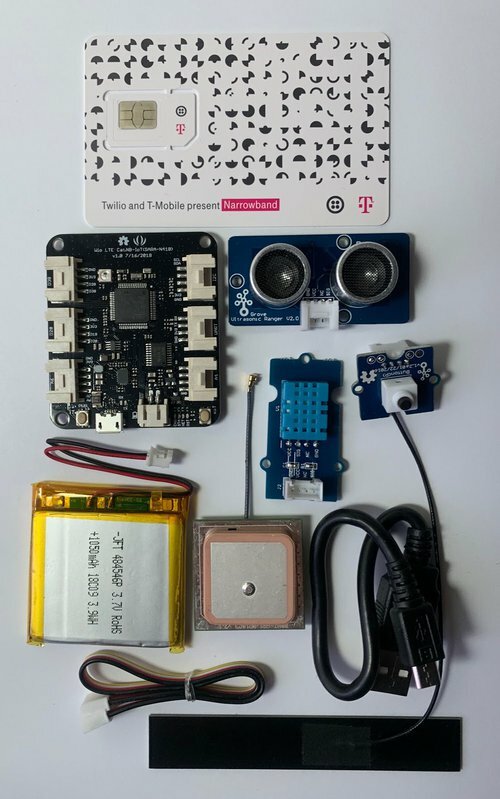 The completed code can be found on the TwilioIoT GitHub. During the registration process, the Network Connectivity LED will glow orange. Open the Serial Monitor to observe the board registering and connecting to the network. 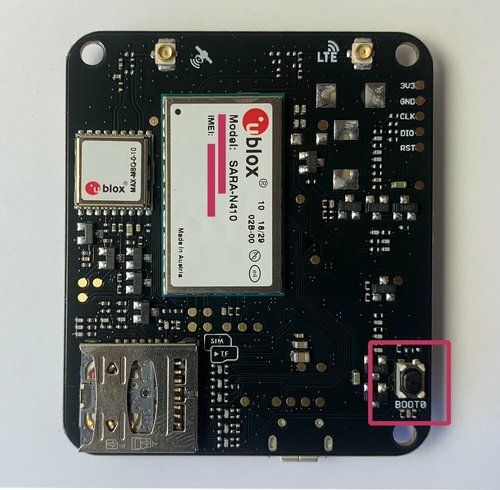 When the board successfully connects to the NB-IoT network, the Breakout SDK will be initialized. This is the Serial Monitor output when the Breakout SDK sends a Command to Twilio. Every Command sent and received by the Breakout SDK is logged. 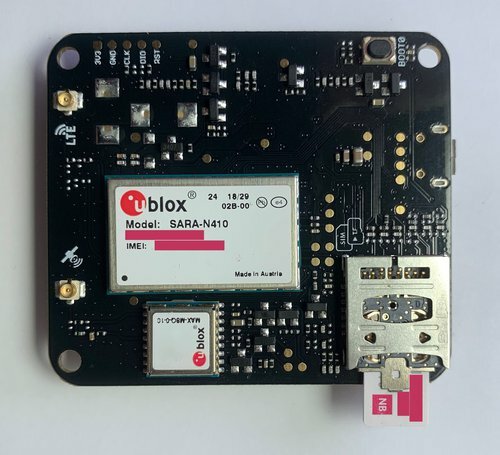 Commands sent over the NB-IoT network can be found in the Twilio Console under Programmable Wireless. The Breakout SDK will poll for a new Command every minute. 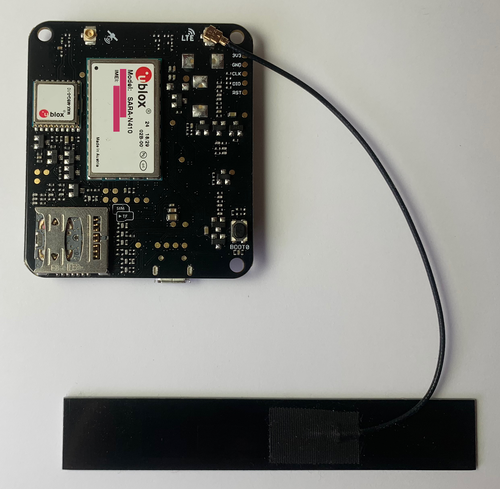 Using cURL, you can send a Command to the NB-IoT board by using the Sim unique name.